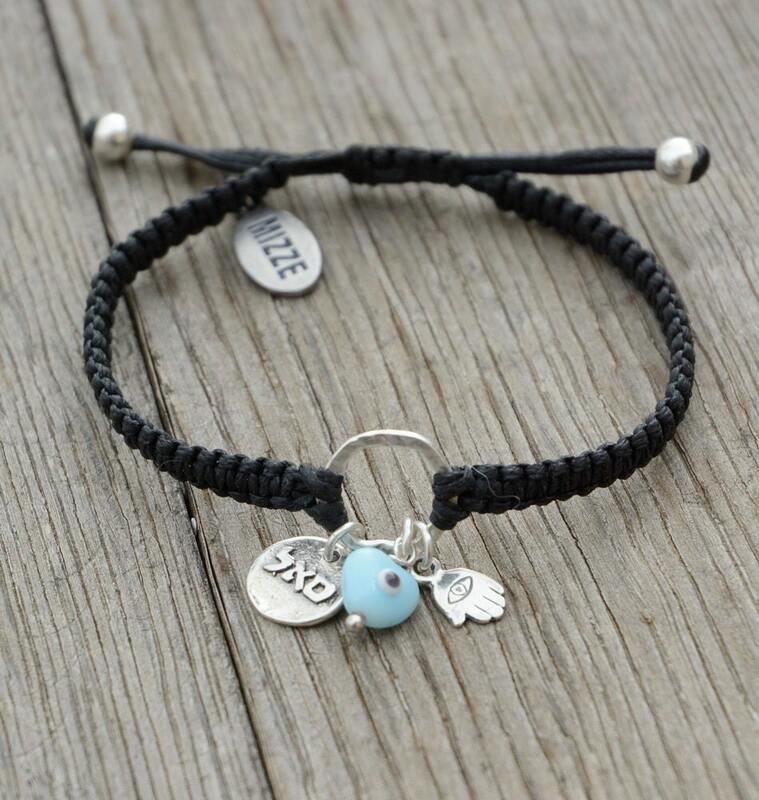 Handmade knit bracelet decorated with powerful charms believed to protect their wearer from ill-will and the envious eyes of others. 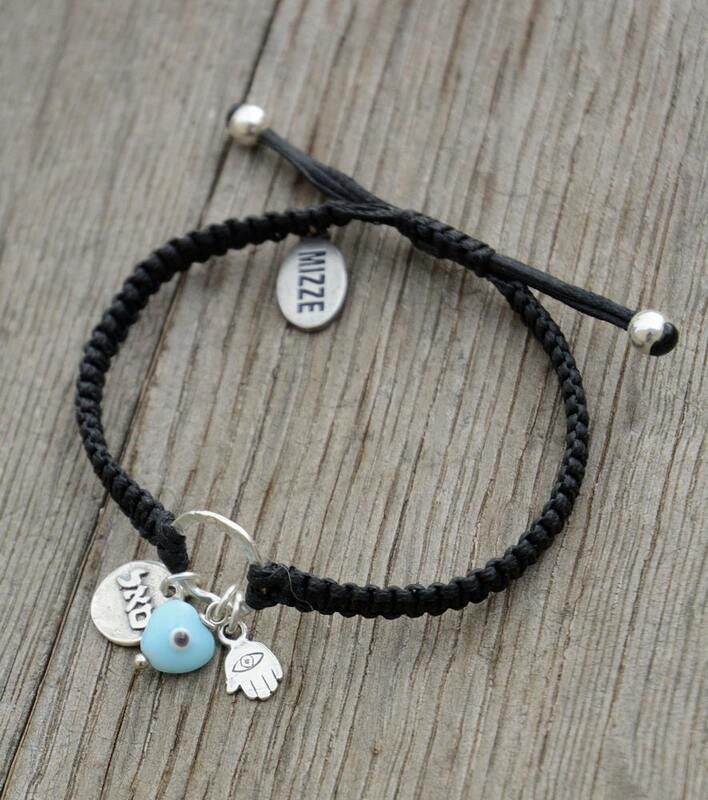 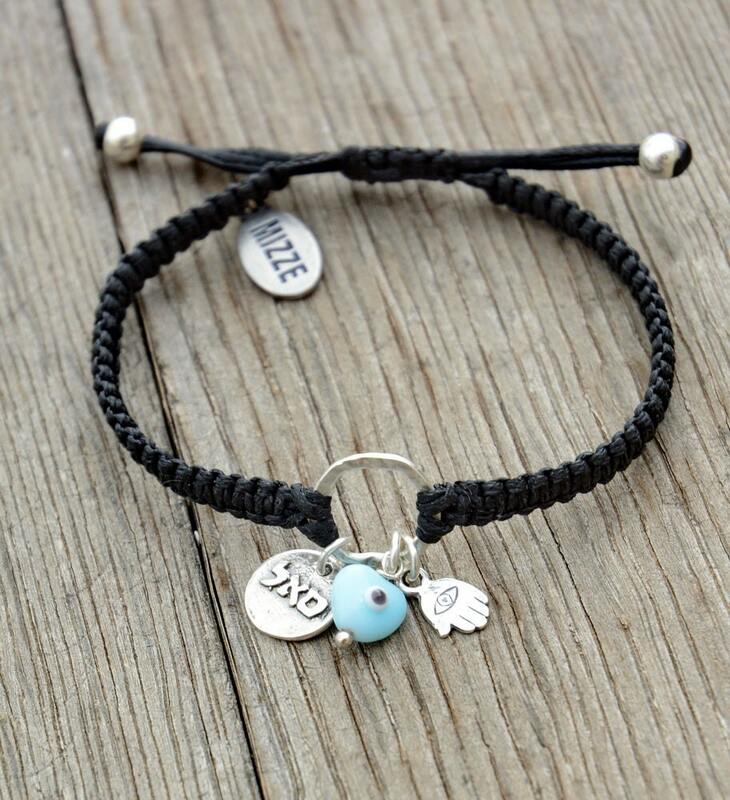 Charms include a Hamsa Hand, Evil Eye and Silver Kabbalah coin with the letters SAL in Hebrew, a combination believed to provide the wearer with plenty and prosperity. 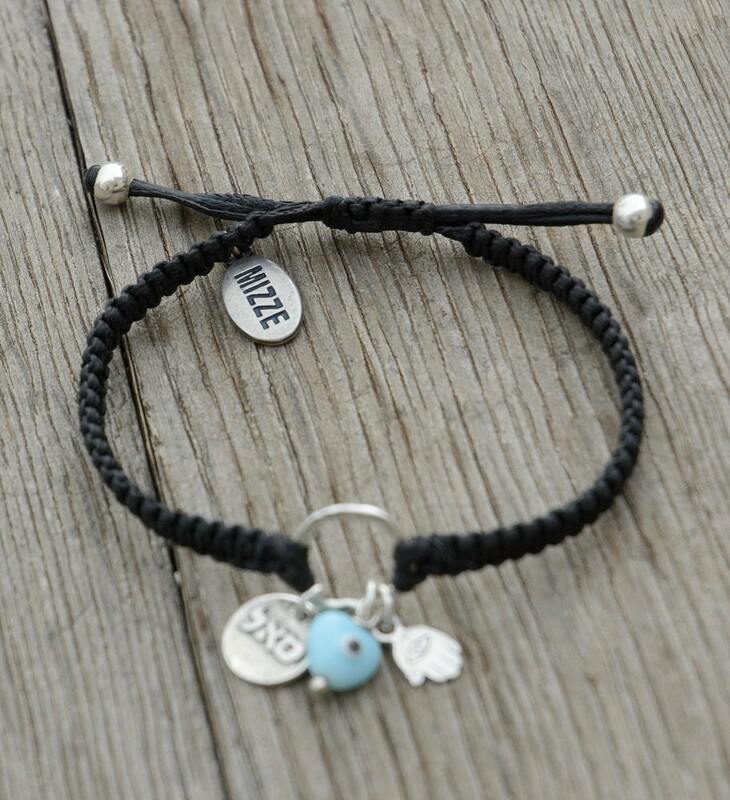 The bracelet is adjustable to fit most wrist sizes.